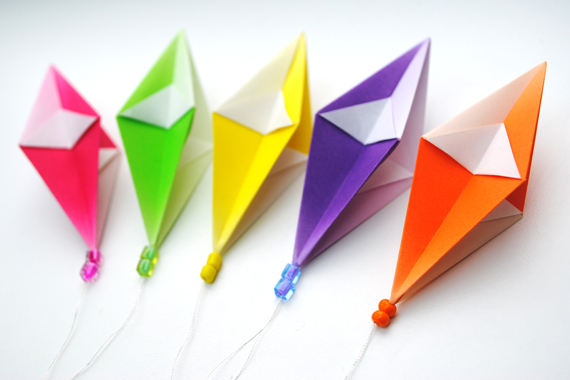 They are so delightful and all you need to make them are paper and thread (beads optional). 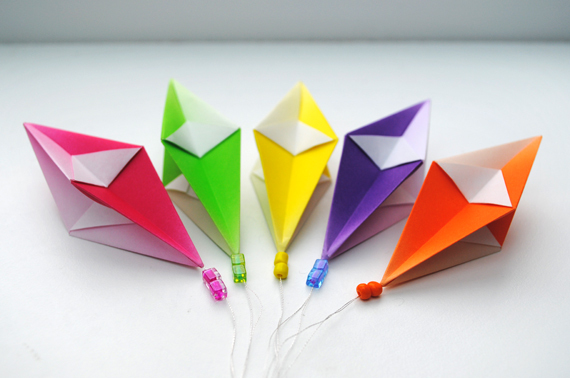 These are obviously too hard for little ones to make but, if you’ve got older kids, set them to work!! 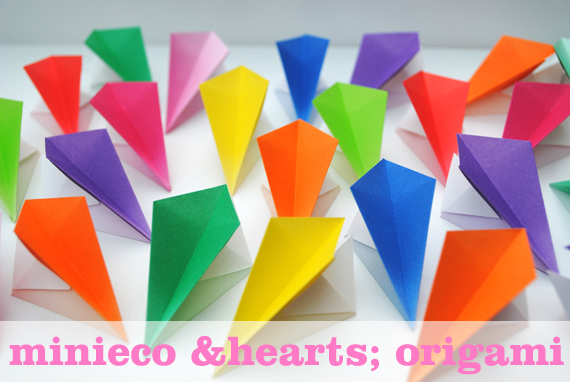 They are made with two interlocking components (pictured above) and I think would be perfect for any occasion – just change the paper to suit. 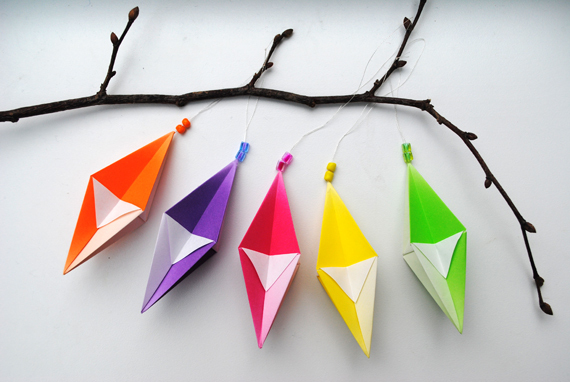 If you wanna know how to make these simple and quick decorations then click the ‘read more’ link below. Off topic: For those of you who liked the Lion ‘color-me-in’ there is now a Crocodile ‘color-me-in’available to download on that post. 1 & 2. 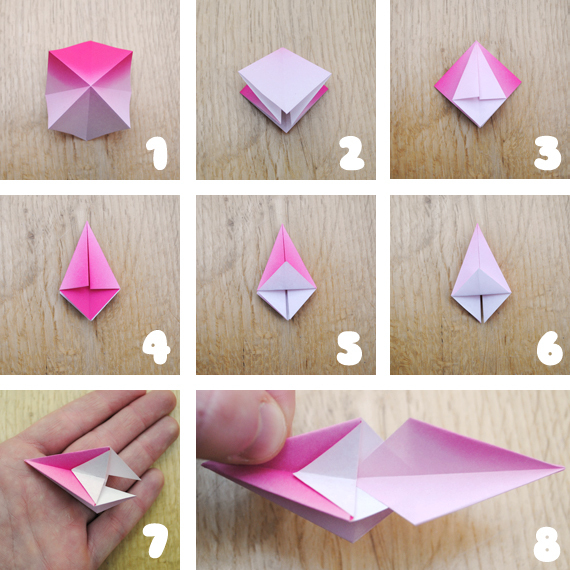 First of all you need to take a square piece of paper and fold an origami square base. Each square I used measured 7.5 x 7.5cm. 3. Take your base and fold the outside edges into the middle and crease well. 5. Fold the bottom corner up and crease well. 6. Turn over and repeat. 7. Press outside edges towards one another and crease. 8. Take another square of paper and repeat steps 1 – 7. 9. Slide two components together so that they interlock.